"Where Good Business Makes Good Friends!" Look For Our New Location Coming Soon! Welcome to Pioneer Building Supply! "We've Got It All For You! EVERYTHING You Need To Build A Home!" 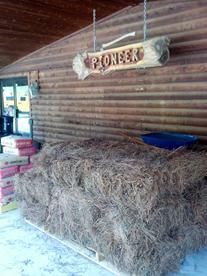 For over 35 years, Pioneer Building Supply has proven to be the leader in Building Materials. We service Warren County and surrounding counties in beautiful Middle Tennessee. Click the link below to see our online, full color brochure! Click HERE to see our online brochure!